A man who used cannabis for pain relief began growing his own supplies of the drug, Lincoln Crown Court was told today (Tues). Nicky Hardstaff used the drug to relieve the pain he was suffering after his hand was crushed in a work accident. Jonathan Dunn, prosecuting, said that Hardstaff was arrested in October 2017 after a car in which he was a passenger was stopped by police in the Boston area. A total of 579 gs of cannabis was found in a bag on the rear seat. Mr Dunn said that electronic devices belonging to Hardstaff, including a mobile phone, were seized by police. They revealed no evidence that he was involved in drug dealing. Mr Dunn added "There was evidence that he was researching the medical benefits of cannabis and how to make cannabis oil." Hardstaff, 30, of Lowgate Avenue, Bicker, admitted charges of producing a controlled drug and possession of cannabis on 23 October 2017. He also admitted breach of a suspended jail sentence imposed at the Crown Court in February 2016 for an offence of dangerous driving. He was given a two year community order with a rehabilitation activity requirement of up to 20 days. 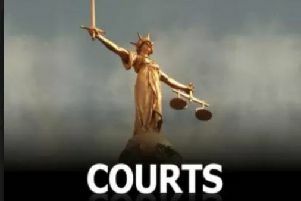 Evy Mason ,21 , of Meres Lane, Kirton, Boston, who was the driver of the car in which the drugs were found, admitted possession of cannabis on the same date. She was fined £250. David Eager, for Hardstaff, told the court "He was growing the cannabis to produce cannabis oil." Gareth Gimson, for Mason, said she is currently in employment and has no previous convictions.